Upgrade your house with HardiePlank® siding. HardiePlank® is durable, low maintenance, fire resistant and can be fit to match any style home. HardiePlank® siding from James Hardie offers flexibility in architectural style and can be combined with HardieShingle® siding, HardieTrim® boards, and HardieSoffit® panels for a complete protection solution. Belk Builders offers five different types of window replacements to suit the needs and wants of our customers. Each style is customizable with several choices of arch styles, shapes and colors. One can also choose an energy-efficient option with double-pane windows and and soft-coat low-E glass with argon gas for extra insulation. We have a team of highly experienced and trained roofing professionals that can work any type of roofing product, whether it be large and small shingles, wood roofing replacement or new flashing, our team has you covered. From architectural to metal roofing we can handle all your needs. 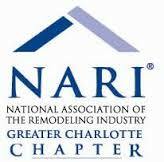 Call us to have your roof evaluated today. 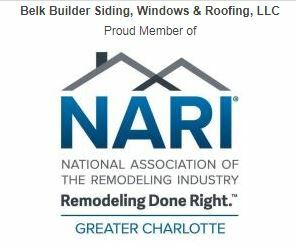 When you need a siding contractor delivering exceptional customer service and decades of experience transforming the exterior of homes in the greater Charlotte area and beyond, Belk Builders is truly the best choice. We are committed to serve your needs through every step of your project, which means you are always kept informed during each step of your home’s transformation, knowing what to expect and when to expect it.